On Sunday, April 22nd, the Olympia National Honor Society hosted its induction ceremony for new members, while waving its senior members goodbye; congratulations to all new, current, and graduating members! At the ceremony, the student leaders lit candles that that represented the four traits a student needs to be in NHS: scholarship, leadership, service, and character. Then, the new members recited the National Honor Society pledge. Afterwards, the students were called up by class for their recognition. Senior members also showed their plans after high school, such as what college they were planning to attend. Sophomores entering NHS received a certificate recognizing their induction. The continuing junior members were given pins denoting their service to NHS. Meanwhile, the graduating senior members earned special gold and blue cords to be worn to the graduation ceremony. Students were required to complete 20 hours of volunteering to continue participating in NHS. However, nothing was stopping them from going above and beyond in service. Multiple students completed 50 hours or more, and will receive special recognition on Awards Day. On May 10th, the new officers for next year were selected. The new positions go as follow: Claire Mercier (President), Carlie Martin (Vice-President), Cloe Spracklen (Officer), Hannah Thomas (Officer), and Kate Dreyer (Officer). Congratulations to these students! 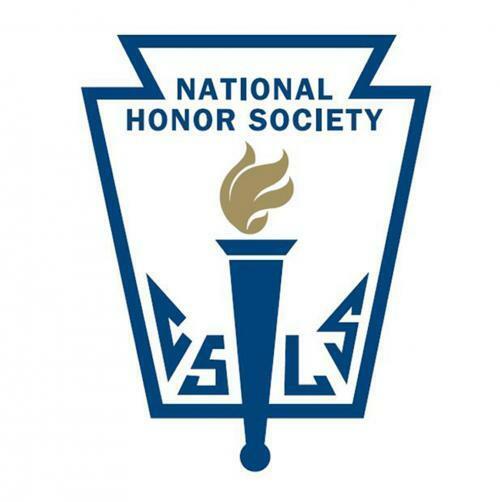 All in all, it was a great year for National Honor Society. Many projects were completed, many hours were fulfilled, and many memories were made. What will next year have in store?